I read this article and found it very interesting, thought it might be something for you. The article is called Restaurant Review: Union 8 and is located at https://www.totallydublin.ie/food-drink/restaurants/restaurant-review-union-8/. 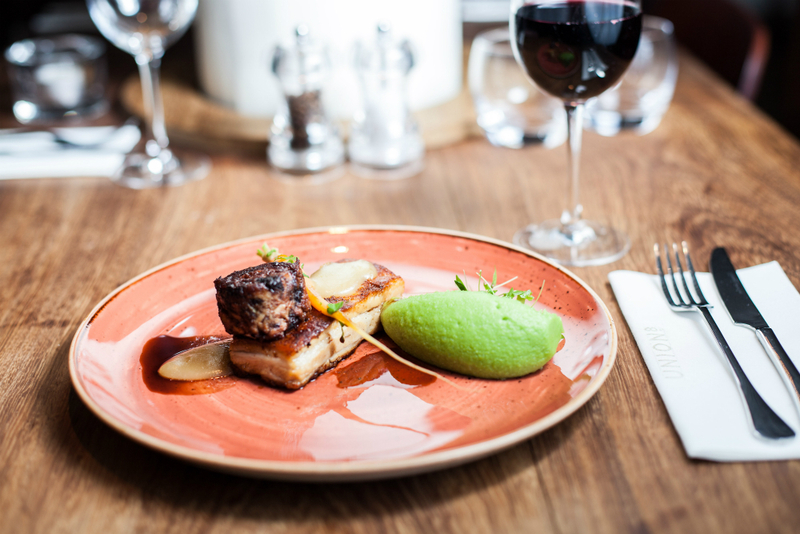 Though a popular place to live thanks to charming architecture and easy access to and The Irish Museum of Modern Art and The Royal Oak pub, the historic suburb of Kilmainham has been mightily underserved by the restaurant business until quite recently. 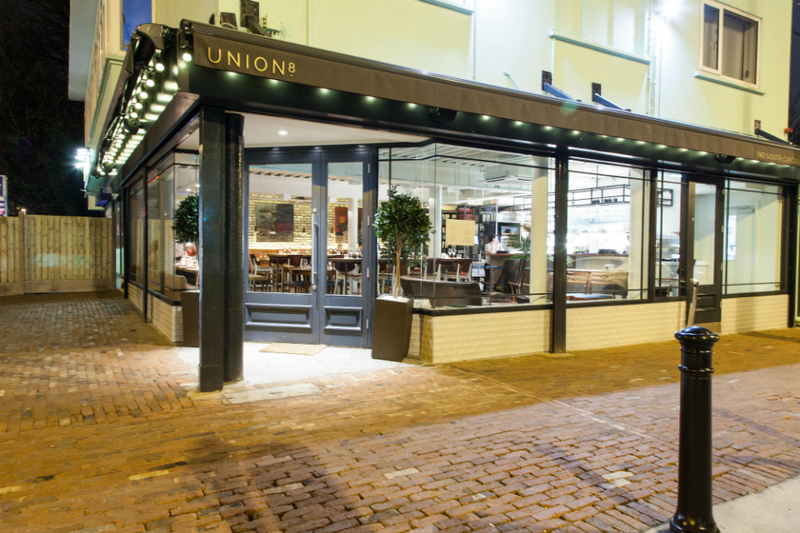 Union 8, which opened at the beginning of this year, sits on the crossroads between Kilmainham’s small cluster of shops and Kilmainham Gaol. It sits on the corner, huge windows wrapping themselves around the entire restaurant, like the diner in Edward Hopper’s Nighthawks. Instead of the handful of sad looking patrons that Hopper painted, Union 8 is bright and buzzing, its energy shining out onto the street like a beacon, drawing customers in. They worked with interior designer Jean Feeney at Peacock Interiors to get the balance between adding a warm richness to the harsher, natural surfaces uncovered as they started work on the restaurant. They looked locally to Mac’s Salvage and Granite Warehouse in Islandbridge for key furnishings, getting bespoke wine cages made by Bushy Park Ironworks in Ballymount. The end result is a beautiful, welcoming space that has a genuine sense of identity, one of those rare new restaurants that arrive fully formed and raring to go. The Modern Irish menu is gluten-free, almost by default. Head Chef Kieran Guilmartin isn’t a fan of flour in the kitchen, though he does use it in certain desserts. His menu is clearly designed to suit a range of palates without restricting the kitchen’s ability to show off a bit. 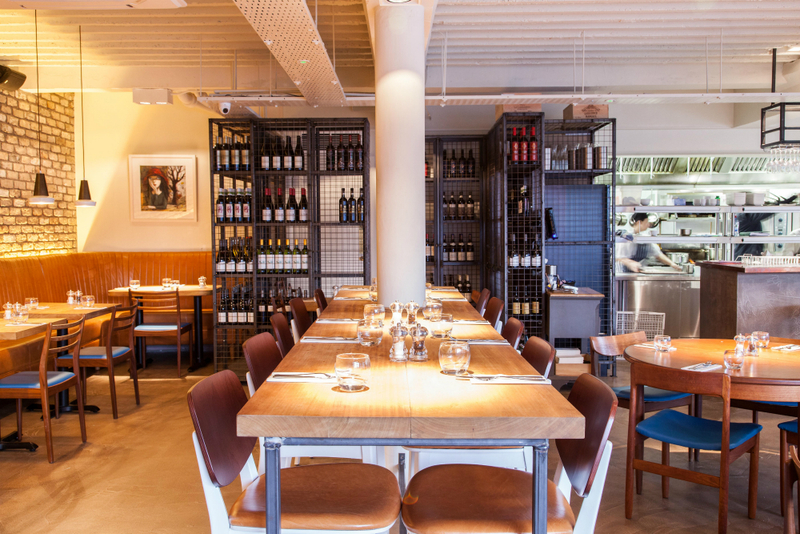 It’s a perfect balance for a neighbourhood restaurant, where a kitchen can expect a steady mix of patrons with simple appetites alongside those with more adventurous palates. My main course of Wicklow venison (€21) is the star of the show on my visit, when I caught the tail end of the winter menu. It’s cooked pink, its natural juices packed away in thinly sliced slivers of this most precious meat. Roast potatoes on the side are crispy perfection, and a spiced wine sauce brings a welcome sweetness to the dish, which is balanced with simply dressed kale. The medium rare fillet of beef (€27.50) is on the bloody side of medium rare, so if you’re squeamish you might want to order up. The accompanying duck fat chips are a little pale and could have done with a touch longer in the fryer, but they’re deliciously fat and fluffy. There’s a pleasantly piquant pepper sauce on the side. Extra skinny chips (€3) on the side have the golden sheen I was looking for in the duck fat chips, and are perfectly seasoned. A starter of slow cooked lamb breast (€9) is deeply delicious but it feels like an unfinished dish. It’s simply a hunk of gloriously tender lamb on the plate with some cauliflower purée and a fermented carrot jus on the side. Perhaps with the addition of a few spuds and beautifully roasted vegetables, this might make more sense as a main course. My seared scallop starter (€11.50) makes use of one of the best black puddings in the country, McCarthy’s of Kanturk, and it’s a really good version of one of my favourite dishes. Desserts cause a complete halt to conversation at our dinner table, as we watch the melted chocolate centre ooze out from the light chocolate fondant (€7). A quince crumble tart (€6.50) is a welcome deviation from the regular apple and blackberry. It’s a great use of this seasonal fruit, and the crumble and its pastry casing are excellent.